The HTC U11 has been a pretty poorly kept secret, but it is now official and we can finally share the dirty details. As expected, the device is an improved U Ultra with similar design, a bump in specs, and a new Edge Sense feature that allows you to squeeze the sides of the phone to get things done. 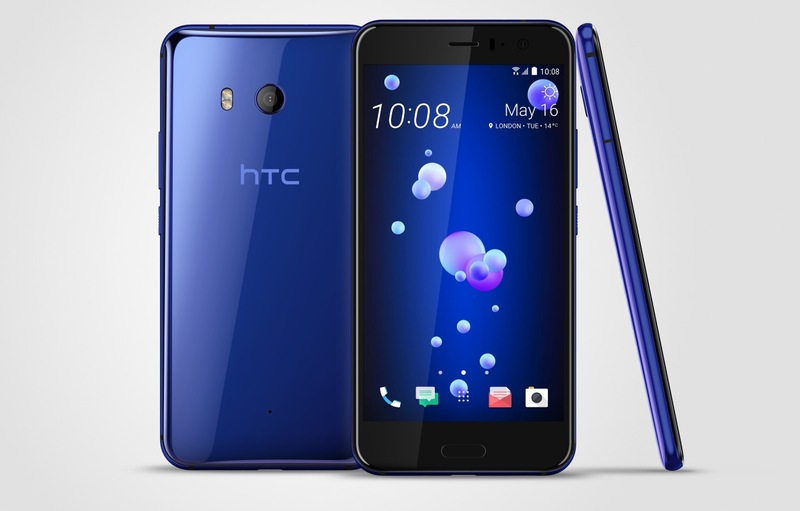 This is probably the phone HTC should have launched months ago instead of the Ultra, if I’m being honest. 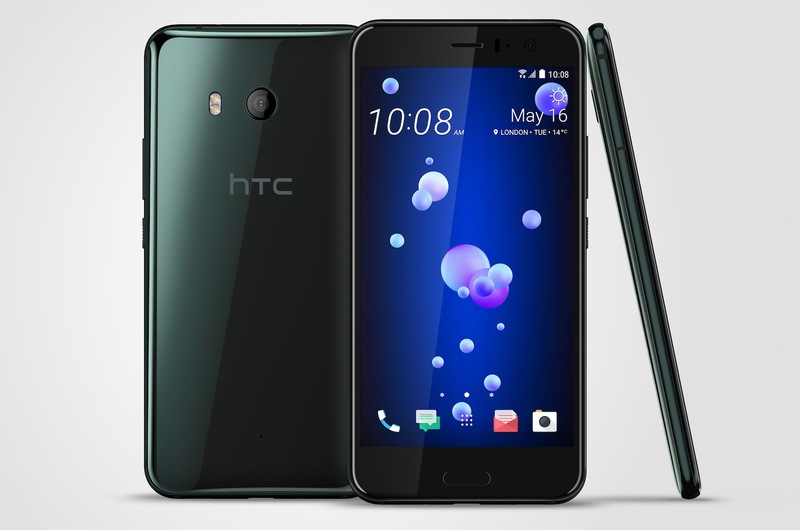 In terms of specs, the HTC U11 features a Snapdragon 835, 5.5-inch QHD LCD display, 12MP f/1.7 camera, 64GB storage with SD slot, 4GB RAM, fingerprint reader, and Android 7.1.1 Nougat under HTC Sense. You can find the full specs lists here. As for the squeezy Edge Sense stuff, it’s not exactly how original reports suggested. It’s not a touch sensitive area, but rather a pressure sensitive one. That means you can’t slide a finger on it to adjust the volume or something like that. Instead, you can do short or long squeezes to launch apps, open Google Assistant, fire up the camera and take a shot, turn on the flashlight, etc. It’s still pretty cool, though, as an added hardware feature that you might use regularly, unlike previously included ticker displays. To see it in action, be sure to catch our HTC U11 first look video. The rest of the device features HTC’s liquid glass surface like we saw on the U Ultra. The back of each phone is super attractive, even if you do have to use the included cloth to wipe off fingerprints every 30 seconds. HTC has created a really nice aesthetic here. Just avoid looking at the front, with its huge top and bottom bezels. HTC is including a pair of its USonic earbuds once again. These are USB Type-C buds with active noice cancellation, since the phone doesn’t have a headphone jack, but HTC is tossing in a Type-C-3.5mm adapter (with a built-in DAC!) this time. HTC BoomSound is there as well, along with 3D audio recording, thanks to four microphones. HTC also says that the 12MP f/1.7 camera here is one of the best in the business. In fact, DxOMark rated it a 90, the highest rating ever for a smartphone. HTC tossed in features like HDR Boost, to give you HDR photos without lag, UltraSpeed AutoFocus, and both optical and electronic stabilization. As I just mentioned, the U11 runs Android 7.1.1, so it has Google Assistant on board. However, HTC is claiming that this is the “first smartphone on the market to feature hands-free wake word access to Amazon Alexa.” So instead of app access to Alexa, you’ll be able to say, “Alexa, what’s the weather today?” just like you would an Amazon Echo unit. That’s a huge deal in the battle of Google vs. Amazon. Alexa will be available in the US, UK, and Germany. 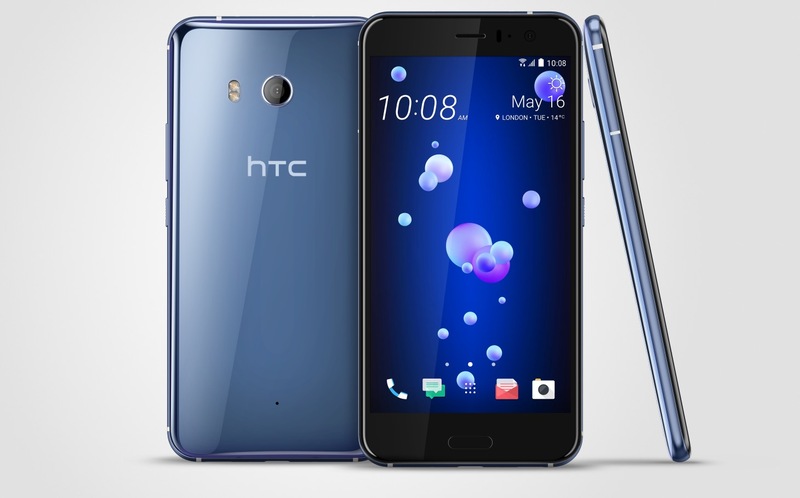 If you want to go the unlocked HTC U11 route, you’ll be able to buy it from HTC.com and Amazon, with pre-orders also going live today and arriving in June. Colors available at those location will be Sapphire Blue, Brilliant Black, and Amazing Silver. The unlocked model costs $649 and works on AT&T, T-Mobile, and Verizon.